These conditions apply to all offers made by Cetem Containers B.V., referred to below as Cetem, and to all agreements it concludes and to all agreements that may be the result thereof. Cetem is the party who uses these conditions. The other party is designated as the customer, a term which is deemed in these standard conditions to include the owner and/or user of the goods or the persons or businesses used by him or on his behalf. These terms and conditions relate to the following activities: handling, storage, repair and sale of containers in all their representative forms. With regard to handling, consisting of loading into ships and unloading from ships, the general terms and conditions of the 'Vereniging van Rotterdamse stuwadoors' shall apply (VRS, 12 August 1976), except for art 13 (arbitration). It is understood that loading and unloading means the movement from the ships hold to the quay/pier and vice-versa. In so far as the container rental is concerned the terms and conditions of the rental contract shall prevail over these standard conditions, which will be only applicable additionally. In these conditions 'repair' shall also be deemed to mean 'maintenance, cleaning, modification, adjustment and/or inspection' and 'the repaired goods' shall also be deemed to mean 'that which is being or has been maintained, cleaned, modified, adjusted and/or inspected'. All offers are made without obligation. If the customer supplies data, drawings etc. to Cetem, Cetem may assume them to be correct and may base his offer upon them. The prices referred to in the offer are based on delivery ex works (excluding loading on means of transport) in accordance with Incoterms 2000. The prices are exclusive of VAT and packaging. If his offer is not accepted, Cetem has the right to charge the customer for all the costs incurred in making his offer. Unless agreed otherwise, Cetem retains the copyright and all industrial property rights to the offers made by him and of all designs, illustrations, drawings, models, test models, software etc. supplied by him. The rights to the data referred to in paragraph 1 shall remain the property of Cetem irrespective of whether costs are charged to the customer for their production. Such data may not be copied, used or shown to third parties without the express consent of Cetem. If this provision is infringed, the customer shall owe Cetem a penalty of ? 25.000,- This penalty may be claimed in addition to any legal compensation. The customer must return the data supplied to him as referred to in paragraph 1 at the first request of Cetem within the period specified by Cetem. In the event of an infringement of this provision the customer shall owe Cetem a penalty of ? 1.000,- per day. This penalty may be claimed in addition to any legal compensation. The customer cannot derive any rights from advice and information obtained from Cetem if they do not relate directly to the order. The customer is responsible for the drawings and calculations made by him or on his behalf and for the functional suitability of the materials prescribed by him or on his behalf. The customer shall determine and is responsible for the extent and effectiveness of the repair(s) and/or other work to be carried out. The customer shall decide on the (technical) specifications by reference to which the repair(s) and/or other works are ultimately carried out. The customer shall indemnify Cetem against any claim by third parties relating to the use of drawings, calculations, samples, models and so forth supplied by or on behalf of the customer. The customer may, at his own expense, examine (or arrange for the examination of) the materials which Cetem wishes to use before they are processed. If Cetem suffers damage as a result, this shall be borne by the customer. Receipt and delivery will be confirmed by means of I/R receipt. On redelivery and/or transfer of a damaged container; providing that the redelivery of the container was previously notified, an I/R receipt will be supplied, with the notification 'damaged', upon receipt of which the driver/shipper may leave the depot. At a later date the customer concerned will be informed by means of a damage report (estimation) of all missing parts and necessary repairs. The customer is then free to authorise the repair on this basis or he may wish to carry out a survey inspection on the container to control the estimation and come to an agreement regarding the damage as reported by Cetem. Authorisation can only be accepted in writing and by EDI. By accepting these terms and conditions the customer authorises a third party to redeliver or transfer the container on his behalf, as well as giving him the legal right to sign the I/R receipt. The period within which an estimate is provided shall be approximately 5 working days and the period within which delivery will be effected or a start made on the repair shall be approximately 10 working days. In fixing the period within which an estimate is provided or in fixing the delivery and/or repair period Cetem shall assume that he can execute the order in the circumstances known to him at that time. 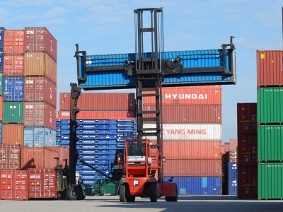 Any fluctuation in the supply of containers in relation to the average number of containers supplied by the customer over a preceding period of 12 months may result in derogation from the periods referred to in paragraph 1. Derogations as referred to in paragraph 3 shall be notified by the customer to Cetem within a reasonable period after the customer becomes aware of them or could reasonably be expected to have become aware of them. The periods referred to in paragraph 1 shall start when agreement has been reached on all technical details, all necessary data, final drawings etc. are in the possession of Cetem, the agreed payment or instalment has been received and the necessary conditions for execution of the order have been fulfilled. If circumstances occur other than those known to Cetem when he determined the delivery and/or repair period, Cetem may extend the delivery and/or repair period by the time necessary to execute the order in the circumstances. If the work cannot be fitted into the planning schedule of Cetem, it shall be completed as soon as Cetems planning schedule permits this. If there is extra work, the delivery and/or repair period shall be extended by the time that is necessary to supply (or arrange for the supply of) the materials and parts for this purpose and to carry out the additional work. If the extra work cannot be fitted into the planning schedule of Cetem it shall be completed as soon as his planning schedule permits this. If there is a suspension of obligations by Cetem, the delivery and/or repair period shall be extended for the duration of the suspension. If continuation of the work cannot be fitted into the planning schedule of Cetem, the work shall be completed as soon as his planning schedule permits this. In the case of delivery ex works, in accordance with Incoterms 2000, the risk in relation to the goods shall pass at the moment when Cetem makes them available to the customer. Irrespective of the provisions of the previous paragraph, if the customer and Cetem agree that Cetem will arrange for the carriage, the risk of storage, loading, carriage and unloading shall be borne by the customer in this case too. The customer may insure himself against these risks. Even if Cetem installs and/or assembles the goods sold, the risk in relation to the goods shall pass at the moment when Cetem makes them available to the customer at the business premises of Cetem or at another agreed place. If a purchase involves a trade-in and the customer continues to use the goods to be traded in pending delivery of the new goods, the risk in relation to the goods to be traded in shall continue to be borne by the customer until the moment that he transfers them to the possession of Cetem. If price increases have occurred since the date on which the agreement was concluded, for example as a result of changing legislation or regulations, and performance of the contract has not yet been completed by Cetem, Cetem may pass on an increase in the price-determinants to the customer. If the customer is a consumer, i.e. a natural person not acting in the course of an occupation or business, and the price increase referred to in paragraph 1 occurs within three months after the date on which the agreement is concluded, the customer has the right to terminate the agreement. Payment of the price increase as referred to in paragraph 1 shall take place together with payment of the principal or the last installment. If goods are supplied by the customer and Cetem is prepared to use them, Cetem may then charge a minimum of 20 percent of the market price of the delivered goods. Cetem shall be entitled to suspend performance of his obligations if he is temporarily prevented from performing them by circumstances that could not be foreseen at the time of the conclusion of the agreement and which are beyond his control. Circumstances which could not be foreseen by Cetem and are beyond his control include, but are not limited to, the failure of suppliers and/or subcontractors of Cetem to fulfil their obligations or to fulfil them on time, weather conditions (in particular a storm with a wind speed of at least fourteen metres per second as determined by the Royal Netherlands Meteorological Institute (KNMI) or a branch thereof), earthquakes, fire, acts of terrorism, vandalism, loss or theft of tools, the loss of materials to be processed, road blocks, strikes or stoppages and import or trade restrictions. Cetem shall not be entitled to suspend performance if performance is permanently impossible or if a temporary impossibility has lasted for longer than six months. The agreement may then be terminated in respect of such part of the obligations as have not yet been performed. In that case the parties shall not be entitled to compensation for damage suffered or yet to be suffered as a result of the termination. The customer shall ensure that all licences, exemptions and other decisions that are necessary in order to carry out the work are obtained in good time. The customer shall be responsible for performing the requisite formalities when containers are removed from international circulation in the context of performance of the present agreement and these containers no longer leave the Netherlands. The customer shall also arrange for payment of any import duties and/or taxes owed on the value of these containers to the Dutch tax authorities. facilities provided pursuant to legislation and regulations on health and safety at work and/or the environment. The customer shall be liable for all damage as a result of the loss, theft or burning of or damage to tools, materials and other property of Cetem located at the place where the work is performed. The customer shall ensure that documents (including, but not limited to, the documents required for both receipt and dispatch), instructions and so forth are in the possession of Cetem in good time. Cetem accepts no liability whatever for the incorrectness, inaccuracy or incompleteness of these instructions and/or documents. If the carrier used by the customer refuses to sign a receipt for steel parts and/or their technical condition, Cetem shall not be liable for the consequences in terms of the number and/or technical condition thereof. Subject to proof to the contrary, the number and/or technical condition as referred to in the records of Cetem shall be deemed to be correct. If there are unworkable conditions, including unworkable weather conditions, the periods referred to in article 5, paragraph 1, shall be extended by the resulting period of delay. Unworkable conditions shall be deemed to include all conditions, including unworkable weather conditions (such as precipitation, wind and frost) which are responsible for causing an (unsafe) working situation which does not comply with the relevant requirements of legislation and regulations and as a result of which the work cannot be carried out in accordance with the requirements of good craftsmanship. If the customer fails to discharge his obligations as referred to in the previous paragraphs and the work is delayed as a result, the work shall be executed as soon as Cetem's planning schedule permits this. In addition, the customer shall be liable for all loss or damage suffered by Cetem as a result. If the customer wishes to carry out an inspection, he shall give notice of this in writing to Cetem within 2 working days of being notified that the goods are ready. Cetem shall present on one occasion the repaired goods and/or other work that has been carried out for inspection at the expense of the customer. If the customer does not approve the work, he shall be obliged to give written notice of this to Cetem, specifying the reasons, within 2 working days of the date on which the inspection referred to in paragraph 1 has taken place, and to give Cetem the opportunity to repair any defect or carry out the repair or other work again or to redeliver the rejected part of the work. The provisions of this article shall apply once again to this delivery. the customer does not approve the work owing to minor defects or missing parts which can be repaired or supplied within 48 hours (provided that this is on normal working days) and which do not prevent such use of the work. Cetem shall deal with a complaint only if the customer has already fulfilled all his obligations to Cetem. emergency repair(s) carried out at the request of the customer. Cetem is entitled to store the goods of the customer in the open air before, during and after repair and/or other activities. Storage is deemed to mean the keeping of goods belonging to or under the management of the customer at the time of the order, whether or not in exchange for payment, for a fixed or indeterminate period. The storage shall start on the day that the goods are delivered by or on behalf of the customer and shall end on the day that the goods are collected by or on behalf of the customer. For this purpose, part of a day shall count as a full day. The storage rates charged by Cetem shall apply to storage by Cetem. Cetem is liable for damage which the customer suffers and which is the direct and sole result of a failure attributable to Cetem, on the understanding that in respect of damage caused by faults or omissions of its subcontractors or agents, Cetem shall only be liable to the extent that the subcontractors or agents are liable to Cetem. However, only loss or damage for which Cetem is insured will be legible for compensation. If there is no insurance cover and Cetem is nonetheless liable, for example in the case of gross negligence or intent on the part of Cetem or his subordinates, his liability shall be limited to the repair of the damage without charge. If the estimated costs of repair or the amount of the damage exceed(s) the economic value of the relevant container, the maximum liability of Cetem shall be the economic value. acts of terrorism or vandalism; the nature and natural state of the goods in storage. The customer shall indemnify Cetem against all third party claims in respect of any damage which is the result of the fact that, at the request of the customer, the technical specifications have been changed, the repair and/or other work proposed by Cetem in the quotation is not executed or not executed in its entirety or is executed differently and, as a result, the repaired or otherwise modified goods do not fulfil or no longer fulfil the relevant statutory requirements. The customer shall indemnify Cetem against any damage caused by cargo residues, whether or not visible, remaining in the container presented for repair and/or storage, including any radiation and gases, if and in so far as Cetem was unaware of its harmfulness and could not reasonably be expected to have known of its harmfulness. Cetem undertakes, in the case of doubt as to the harmfulness of the cargo residues found in the container, to report this immediately to the customer. The customer shall indemnify Cetem in respect of any claims whatsoever of third parties against whom Cetem might not be entitled to invoke these standard conditions insofar as such claims would have been excluded if such third parties were bound by these conditions. Payment shall be made at the place of business of Cetem or by remittance to an account designated by Cetem. in all other cases: within 30 days of the date of the invoice. Regardless of the agreed terms of payment, the customer shall be obliged, at the request of Cetem, to provide such security for the payment as Cetem deems sufficient for the payment. If the customer fails to do so within the specified period, he shall be deemed to be in immediate default. Cetem shall in this case have the right to terminate the agreement and recover his loss or damage from the customer. The customer does not have the right to set off claims against Cetem, unless Cetem has been declared bankrupt. If payment has not been made within the agreed period for payment, the customer shall immediately owe interest to Cetem. The interest shall be 10% per year or the statutory rate of interest, whichever is the higher. For the purpose of calculating the interest, part of a month shall be treated as a full month. If payment has not been made within the agreed period for payment, the customer shall owe Cetem all extra-judicial costs of recovery, subject to a minimum of ? 150,- The costs shall be 15% of the payment which is due. If the extra-judicial costs actually incurred exceed the amount as calculated above, the costs actually incurred shall be owed. If Cetem is deemed to be the party in the right in legal proceedings, all costs which he has incurred in connection with the proceedings shall be borne by the customer. Without prejudice to the above provisions, payment shall be deemed to have been made in the first place to satisfy older claims which are still outstanding, irrespective of whether different instructions are given with the payment. has not paid claims such as damage, penalties, interest and costs that result from the non-observance of the above-mentioned agreements. As long as title to delivered goods is retained by Cetem, the customer may not encumber them other than in the normal course of his business. After Cetem has invoked his reservation of title, he may retake possession of the delivered goods. The customer shall allow Cetem to enter the place where the goods are situated. Cetem has a pledge and a lien, against any person who requires the handing over of goods, documents and moneys which Cetem has or will have in his possession on any account and for any purpose whatever, on all containers of the customer which he has in his possession for all claims which Cetem has or may obtain against the customer or owner. The person who has made available the said goods, documents and moneys to Cetem shall be deemed to be competent for this purpose. The customer accepts full responsibility for the consequences ? whatever they may be ? of any lack of competence. The said things, documents and moneys shall serve as collateral for Cetem for all claims which he has or will obtain against the customer. If the claim(s) is/are not paid or not paid in time, the collateral shall be sold in the manner determined by law or ? if the parties agree ? by agreement under hand. If the customer wishes to terminate the agreement in circumstances where Cetem is not in default and Cetem agrees to this, the agreement shall be terminated by mutual consent. Cetem shall in that case be entitled to compensation for all pecuniary damage, such as any loss suffered, loss of profit and costs incurred. The law of the Netherlands is applicable. The Vienna Convention on Contracts for the International Sale of Goods (CISG) is not applicable, nor is any other international regulation the exclusion of which is permissible. Any and all disputes between the customer and Cetem, howsoever arisen under, in relation to, or in connection with the contract or the services performed by Cetem, shall, except for appeal, exclusively be brought before competent Court in Rotterdam. The parties may agree a different form of dispute resolution such as arbitration or mediation.